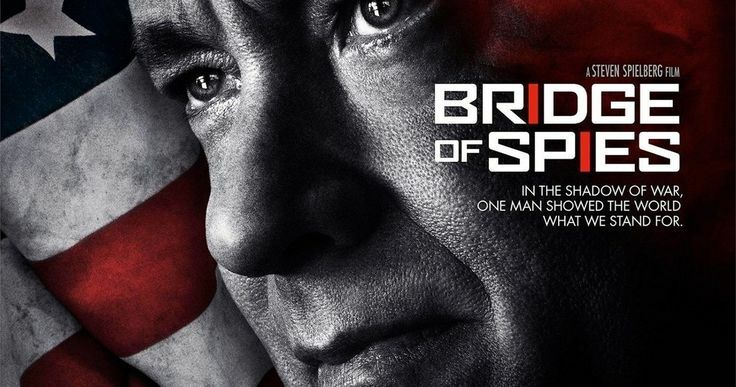 ‘Bridge of Spies‘ is a historical, biographical, drama-thriller film directed by Steven Spielberg and written by Matt Charman and Ethan Coen & Joel Coen. It’s about a Brooklyn lawyer, James B. Donovan (Tom Hanks) and his being thrust into the center of the Cold War when he’s given a mission to negotiate the release of Francis Gary Powers, a pilot whose U-2 spy plane was shot down over the Soviet Union. Besides Hanks, the film stars Alan Alda, Amy Ryan, Eve Hewson, Peter McRobbie, Austin Stowell as Powers and Billy Magnussen. The pic bows October 16, 2015. This entry was posted on Thursday, September 17th, 2015 at 9:46 am	and is filed under Film, News. You can follow any responses to this entry through the RSS 2.0 feed. You can skip to the end and leave a response. Pinging is currently not allowed. « Russell Simmons and Def Jam Biopic In The Works!!! [strums on his guitar] It just appeared, like magic, for the whole world to see. I didn't say anything, I was just as surprised as you. 'Careful, girls, he's engaged.' Am I supposed to buy you some diamond ring now? You're ruining this beautiful moment. Where'd you get the idea that we're engaged? We're not! Last thing I need in the world!